To make an entry in our Guestbook please fill in the form below by clicking here. Your entry may not appear immediately as they come to us first. Thank you. Absolutely fantastic care for my dwarf bunnies. First time away from home and I was very anxious. We visited the lodges before we went away and knew straight away that they would be safe, have everything they needed and looked after extremely well. We are very committed to our house bunnies and have never been away but now we can all enjoy mini breaks and have holidays. This was the first time we have boarded our bunnies, so we were quite worried about it, but Sandy took great care of them. One of them is very timid, but she made sure they settled in and took great care of them. They clearly enjoyed themselves as they were very happy and relaxed when I picked them up. We will certainly board them with Sandy again in the future, and it's great to know we don't need to worry about leaving them with her. Thanks Sandy! Our two rabbits have always been to Sandy for their holidays when we have ours. They are now in their twilight years and it is always a worry to leave them. But I have complete confidence in Sandy as they are always well looked after and get the absolute best in care and attention. It's clear our two feel totally relaxed with Sandy and now know her and the place. They have once again come home looking very well and happy. And this time they even enjoyed making some bunny friends. Thank you once again Sandy and especially for looking after Humphrey's ear. My rabbit Alfie enjoyed a wonderful holiday at Spindlehay Lodge recently. The outstanding care and love given by Sandy was much appreciated. It was so reassuring to see Alfie totally relaxed and happy when I collected him. We will definately board here in the future. My rabbits have been holidaying at Spindlehay since we moved to Stubbington four years ago and it is the only rabbit boarding I would fully endorse. Sandy is amazing, she loves all of the rabbits who come and stay, and has years of experience if you ever need advise. I have two house rabbits but I know they will be kept warm in the winter, when the huts are insulated and the heating is put on, and cool in the summer, when all the insulation is removed and a breeze can run through. Just want to say a huge thank you to Sandy at Spindley Hay Lodge for taking such fantastic care of my two bunnies! The environment was perfect for my house rabbits and you can see how well they had been cared for. So pleased to find somewhere I can trust and not have to worry when I'm away! Mumbles and Rosie will definitely be staying again! We enjoyed our stay while our owners went on holiday safe in the knowledge we we're well looked after. We left our rabbits here for a week and as soon as we got there I knew I wouldn't be worried about them. They had so much space and you can tell Sandy loves rabbits and has there best interest at heart. I think they had a better holiday than us! Bunnies loved staying here, so much so, looked very disgruntled and turned their backs on us when we went to pick them up! I always receive a warm welcome when I drop my two rabbits off and know they will get first class care. The quality of the accommodation is great and lot's of room for them to run around. I have used for many years and never had a problem. Highly recommend.
" My partner and I had never left our house bunnies with anyone other than family prior to their stay at Spindlehay. We faced a dialemma as the numerous rabbit boarding facilities we had visited, prior to Spindlehay, did not provide the care, space and love to meet our high expectations. During our visit to see the accommodation provided at Spindlehay we were blown away by Sandy's caring attitude and the spacious luxurious pens available. Winnie and Mo have just returned from their 4 night holiday with Sandy, having been thoroughly spoilt and wonderfully cared for. We were very anxious about leaving them, especially as Winnie had been poorly the week before, however, Sandy responded quickly to our text messages and reassured us that they were both fine and well (and had made friends with their next door neighbour through the wire!). We have since booked Winnie and Mo in for another 2 holidays and will be recommending Spindlehay to all our friend's and family for rabbit and guinea pig boarding. 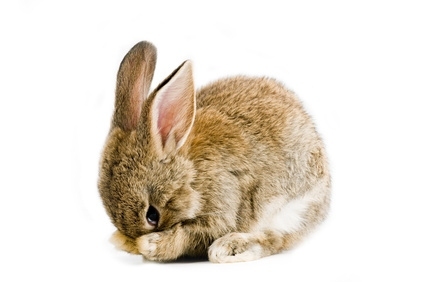 Many thanks"
" Just what we were looking for... Sandy offers the best Rabbit boarding facilities I know of and I'm so glad we found Spindlehay. Large enclosures, all the food you could think of and the utmost professional care. Going on holiday is stressful enough yet knowing they were in good hands made it truly worry free. Pom Bear and Tikka came home like they'd been on holiday themselves!" " Another trouble free and luxury stay for Bobby & Jess. Our rabbits love staying at Spindle Hay, the facilities are exceptionally clean and the bunnies are given top rate care and hutches/runs that are spacious and stop bunnies getting bored. I have no worries in handing my bunnies over and I am fully confident that Sandy gives them 100% care and attention during their stay. 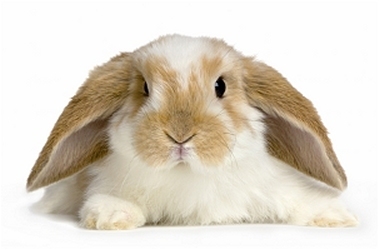 I would recommend Spindle Hay to anyone looking for holiday care for their bunnies." " My 2 rabbits stayed here for 2 weeks. The accommodation is fantastic and both rabbits seemed happy and relaxed. We will be back! Thanks. " " Our 2 little rabbits Fizz and Alfie needed a a second home to stay while we were on holiday. Now when it comes to the care and comfort of our extended family, we need someone we can trust and who truly cares about our little furry friends. Now the owner Sandy is just that and the accommodation is top notch. If you want the very best for your rabbits don't hesitate as i feel at ease knowing they are here. Thank you Sandy! " " Our rabbits, bubbles and squeak, only stayed a short stay, mon to sat morning. Sandy, very lovely lady, reassured us the safety and welfare of our rabbits were of the upmost importance to her from start to finish - full of so much helpful advice and tips - loving our rabbits like her own who I have to say lenny was a lovely boy. Ken made a slide in compartment so our two boys could see each other at night but be together during the day. We were told when phoning the rabbits had settled and were lovely. I take my hat off to the hours this lady puts in and her dedication is emmence. Thank you isn't enough. The boarding here is great and very picturesque. I would highly reccommend spindle hay lodge." " This is a great facility, I know my rabbits have the best care, sometimes they don't want to come home they are so comfortable. Sandy is professional, friendly and so helpful. I cannot recommend it high enough." " My 2 rabbits stayed a week. They were well looked after and the accommodation is 5 stars ? very safe and enjoyable for them. Didn't worry at all while we were away. Her passion for rabbits is evident which is fantastic! Thank you Sandy!" " Maxi came for his first visit to Spindlehay Lodge and thoroughly enjoyed himself and by all accounts he was a good rabbit too. Looking forward and relieved that he is in safe hands for our next trip away. Thanks and will highly recommend to everyone. Thanks Sandy"
" My two rabbits stayed here for their second visit. Again I felt very comfortable leaving them here. They seem to be on holiday themselves when I leave them there and when I come back they always seem very happy. Would recommend this boarding to anyone." " Sandy really is the Rabbit Whisperer, she has so much experience and has given me great advice on health concerns I had over Poppy. I have just dropped Poppy off on her second stay knowiing she will be lovingly and professionally cared for whilst we are away." " Left my rabbits here for the first time in November, well looked after, was told my rabbits were very friendly so they must have felt comfortable. The environment was suited as my rabbits are indoor rabbits and the shed was heated well. They had a good space to run in the shed and plenty of toys and hay, they even catered for food so I didn't have to. One of the rabbits was ill before and she had all the provisions in place in case he needed treatment and knew how to care for him which was very reassuring. Sandy mentioned keeping them seperate in case of illness, which was great and Sandy makes sure they have their injections card when we attended so there was no risk of spread of disease which was brilliant." " I discovered Sandy a year ago when I was looking for somewhere my two boys, Scraps (3) and Hero (10), could stay while we went travelling for 7 weeks. I was very worried about leaving my older bunny as he doesn't see very well now and requires daily medication for his arthritis. He also gets very nervous with new places. Sandy's accommodation is fantastic and her knowledge of rabbits is second to none. She is very professional as well as caring and my boys couldn't have been in better hands. They now stay with her whenever we go away and it gives me great peace of mind to know that they will always be in the best of hands." " 5* accommodation for all rabbits!! Such a wonderful, safe place for rabbits to stay. I have complete peace of mind when I go away knowing that Sandy will go above and beyond for all the rabbits she is caring for. The welfare of the rabbits is her priority. Very clean hutches, toys to play with, love and lots of space! Just what rabbits need! So glad to know about Spindlehay Lodge." " Hip hop has stayed at 'the bunnery' ,as we like to call Sandy's place, for many years now and for long stretches. It is great to know that she is in safe hands, probably safer than ours!, and she always comes back happy, healthy and calm. Sandy takes a personal interest in her boarders and it is clear that they are taken great care of whilst they are with her." " Left my little dwarf lop Sherbs at Spindlehay for 2 weeks over christmas, I had never left him before unless it was with a member of family however he had the best time enjoying his own little lodge being able to run free within it and jump in and out of his hutch whenever he liked! He was spoilt with great treats and veg, and sandy definitely cares for all of the rabbits well dedicating her time to them! They all look so happy. Definitely put my mind at ease whilst I was away knowing it's such a great place for rabbits to relax and have their own little holiday. Will definitely return sherbs there when I am on my next vacation! Thank you very much." " Great peace of mind to meet Sandy, and our rabbits Toffee and Raven were so well cared for, during our holiday in August 2014. The rabbits are part of our family and the first time we had left them. Sandy cared and loved them like her own, and our rabbits were so happy and calm. Sandy also gave me lots of expert tips in rabbit care and is so knowledgeable on rabbit welfare and health issues. We have peace of mind, next time we go away, that our rabbits will have their own retreat where they will be loved and well cared for." " I left our bunnies with Sandy back in the summer, I was a little apprehensive about leaving them as they were so young. I soon realised upon meeting Sandy I had nothing to worry about, Fudge and Dylan were in really good hands. The accommodation is lovely, clean and spacious. I wouldn't leave our boys with anyone else. " " We left Max and Ruby with Sandy for 2 weeks in the summer, safe in the knowledge that they would be well cared for and looked after, during our time away.The care and attention they receive is wonderful. Sandy is a wealth of knowledge about the rabbits needs. The hutches and pens are spotless; Sandy really installs you with confidence that your pets will be safe with her and she will deal with any any problems that may arise unexpectedly. I would highly recommend Spindlehay Lops to close family and friends. This is the 3rd year that we have left Max with Sandy and even though he can be a handfull, I think she secretly adores him... !! I will certainly be booking the rabbits in for next years annual holiday." " We brought our two rabbits here for the first time two weeks ago. I knew from the moment we walked in that our rabbits would be safe and well cared for. The hutches were great and catered for all types of rabbits big or small. The owner is so passionate about rabbits and very knowledgable and gave me some very good tips on how to look after my rabbits. I will definitely be brining them back again when we go away. Thank you"
" The first time I brought Meadow, I felt immediately reassured looking around and chatting to Sandy, she would be looked after very well. Meadow immediately settles in every time and knows exactly where she is. It makes me smile so much that she will eat anything at Sandy's and then be a fuss pot again as soon as she is back home. When Meadow was unwell last year, I rang Sandy to get a second opinion what to do as I don't always get the impression, vets actually know. Her advice proved exactly right and had Meadow on the mend within a day. Sandy really is very knowledgeable and unlike other boarding places, always concerned for each and individual rabbit's welfare. She ensures to know their personalities, eating habits, makes them feel comfortable and at ease, no matter how nervous some rabbits are. They soon settle in and love the attention Sandy gives to all of them. She is simply amazing!!! I would never want Meadow to go anywhere else. We can go away with complete ease of mind knowing, Sandy would pull out all the stops should Meadow ever fall ill in her care. She will do anything to save our very much loved bunny. Thank you so much Sandy for being such an exceptional person and carer. It means a lot to my daughter and I." " The care and attention bunnies receive at Spindle Hay is wonderful. A true home from home for much loved pets. Sandy is a wealth of knowledgeable and very accommodating. Hutches and pens are spotless; Sandy provides good quality bedding and food to match rabbits needs/whatever you use at home, including treats. I cuddle my bunny quite a lot everyday, so the first time I left her with Sandy I was a little nervous at how she would react because I wasn't sure she would receive the same attention as with me. I need not have worried. When I came to collect her after my holiday it was so obvious Sandy had spent lots of time with her; she had her personality sussed and given even more cuddles than when home with me! I have recommended Spindle Hay to family and friends and they are equally impressed. I wouldn't leave my precious girl with anyone else :0)"
" Just like to say thank you for looking after Titch. He had a wonderful time and it was a great place to let your bunnies have a holiday. I'm sure we will be back. Thanks again." " Gorgeous buns & great accommodation." " Wonderful accommodation, a home from home for any rabbit. Sandy really does look after each and every rabbit as if they are her own. Patches thor·ough enjoys every holiday at Spindlehay." " Lovely rabbits and set up x"
Thank you Sandy for taking such wonderful care of Stuart. You have no idea how much peace of mind it gives us to know that he is in both the best hands and the best place. Your accommodation upgrades are a triumph - truly palatial! How many rabbits can boast that they have their own heater? Stuart now thinks of you as his holiday mum! " " Look around the loggins by the owner's daughter - what a lovely lady. The place for the rabbits to stay is really nice very clean and tidy. Wouldn't take our rabbit any were else. The lady was very friendly and showed us all around the hutches very nice place. " " Great boarding home for rabbits. My two, Honey and Treacle, were so well cared for in fantastic hutches. Great peace of mind while on holiday, will definitely be boarding them there again. " "Wonderful accommodation, a home from home for any rabbit. Sandy really does look after each and every rabbit as if they are her own. Patches thoroughly enjoys every holiday at Spindlehay."